In the 21st Century, big data has captured the world's attention, with talk of the new industrial revolution based on information, where data is considered as one of the most valuable information. The world has become excited about big data and advanced analytics because the potential for its impact is big. The ability to organise and analyse massive amounts of data is one of the hottest skills in data analysts. With India currently among the top 10 countries in terms of data analytics, the opportunities are limitless. The Industry now faces new challenges in use of big data technology to analyse consumer behaviour for which they need data scientists. India has around 600 data analytics firms and many new start-ups rising every year, providing a big demand for Data Scientists. The reason for most industries preferring Big Data is because it is the oxygen of the digital era. Indeed, the shortage of data analysts is becoming a serious constraint in some sectors. A single course of four to nine months provides the young data researchers with a hefty amount. 'Big Data' has also been highlighted by the UK government as the 'Eight Great Technologies' that will help drive economic growth. Much of the current enthusiasm for big data focuses on technologies which include Hadoop and other open-source software. We help the students from choosing the right program, which will help them to get trained in Big data using the advanced programming framework. We also focus on the institutes which let the students choose the course offered at various levels starting from Beginners to advanced level. 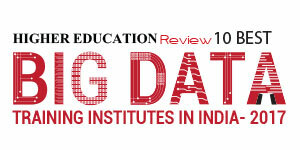 The institutes, which are listed in the Top 10 Most Promising Big Data Institutes in India 2017, will help the learners to equip with specialist knowledge in this exciting field and allow them to explore a range of advanced topics in Big Data. The institutes listed here will help the students not to just in getting training in big data, but also provide them with skills that will make them industry-ready. Ivy Professional School Bengaluru, Karnataka The official and authorized learning partner of some of the biggest corporate houses in India is a pioneer in the big data analytics and data science training fields in the country. Jigsaw Academy Indiranagar, Bengaluru A Bangalore based online school for analytics which has emerged as a brand and pioneer in analytics training in India offering courses built by experts from the industry. LIPS India Pune, Maharashtra An initiative by a team of experienced professionals from IIT , IIM and Industry experts to bridge the gap between our existing education framework and the evolving business landscape. Praxis Business School Bengaluru, Karnataka An institute driven by the desire to create business professionals who can participate in and contribute to the economic growth of the country. Redwood Associates Bengaluru, Karnataka An Analytics firm, committed to developing intellectual property that helps Individuals and organizations to make smarter decisions, effortlessly. S P Jain School of Global Management Mumbai, Maharashtra A leading school of management in the heart of Indiaâ€™s financial centre of Mumbai ensuring self-financing, personal freedom with professional accountability and a corporatised culture. Simplilearn Bangalore, Karnataka One of the leading certification training providers in the country that partners with companies and individuals to address their unique needs by helping working professionals to achieve the career goals. 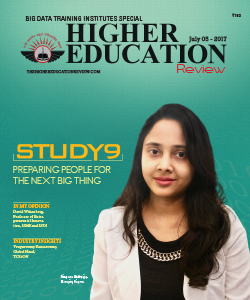 Study9 Bengaluru, Karnataka A provider of online training, the institute enables a person with necessary skills needed to get a job in the competitive IT industry. The Indian School of Business Hyderabad, Telangana An independent management institution disseminating research-based knowledge in management field grooming future leaders for India and the world. Wisdom Sprouts Pune, Maharashtra One of the fastest growing Training and Development Platform with tons of expertise to provide best in class services when it comes to Trainings, Products and Services.